Henry Overton Wills founded the tobacco company in Bristol in 1786. When he died 40 years later, his two sons, William Day Wills and Henery Overton Wills, took over the management of the company. Despite being non-smokers, W.D. & H.O. Wills became one of the leading tobacco companies in Britain. 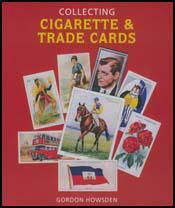 Wills was the first British company to issue cigarette cards. The first card appeared in 1887 and were at first used to advertise its products. The first series of cards appeared in 1895 and that was a set of 25 ships. Subjects were chosen to appeal to their male customers. In 1896 the first set with a sporting theme appeared. This was a series of 50 cricketers. In 1902 W.D. & H.O. Wills published a set of 66 football cards. 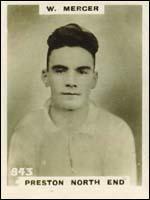 This included George Clawley (Tottenham Hotspur), Matt Kingsley (Newcastle United), George Hedley (Sheffield United), Jimmy Crabtree (Aston Villa), Ernest Needham (Sheffield United) and Fred Spiksley (Sheffield Wednesday). The most impressive cards produced during the 1930s included painted portraits of football stars. These looked so realistic that they appeared to be painted photographs. The first company to use this technique was Ardath in 1934. The following year, W.D. & H.O. Wills produced a series of these cards called Association Footballers. 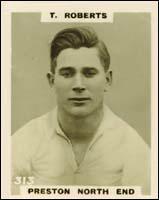 The set contained impressive portraits of John Beattie, John Morton, Jimmy Hampson and George Mutch. Thousands of these sets were collected and as a result they can be obtained from dealers for around £60. However, they can be purchased via Ebay for about half this price. In 1939 W.D. & H.O. Wills produced another series of Association Footballers.The set included impressive portraits of Peter Doherty, Bert Sproston, Ray Westwood, Bob Pryde, James Allen, Andrew Beattie, Edwin Bowden, Bryn Jones, George Vose, Tom Galley, Tommy Lawton, Raich Carter, Fred Worrall, Ephraim Dodds, Frank Broome, Len Goulden and Stan Cullis.